AOL travel website Gadling takes a look at the American Airlines iPad Electronic Flight Bag that received initial FAA approval more than a year ago. The airline's pilots can replace 40 pounds of company manuals and maps with a pair of iPads (one for each pilot), along with a long-life battery to keep the iPads powered for 24 hours. Because both pilots are carrying iPads with backup batteries, the FAA feels this is as redundant as paper manuals. 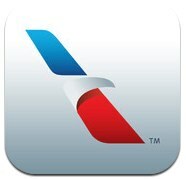 So far American has approval for the 777, 737, MD-80 and is just awaiting approval for the 757/767 fleet. Hopefully, this will be just in time for my return to that airplane, as once you use this setup, you won't want to go back to the paper. To get that approval, American had to have the iPad tested in a hypobaric chamber to simulate how the device would handle during a rapid decompression. They also had to arrange for mount testing with the FAA, which is ironic since our manuals weigh far more than the iPad and aren't secured in place. Many takeoffs have resulted in a book or two sliding off the side table and onto the floor. I am a private jet pilot and we have been approved and have been using the iPad alone for about a year now. This is old news. As a private pilot, you apparently don't know much about the Airline industry and what an effort it has taken to get approval for this in Part 121 Carrier Operations. There is a reason this is reported as a "first". I am a pilot for Delta Air Lines, and we are in the process of getting the same approval. It has been "in test" with the FAA for over 18 months. Getting a process like this approved, across a fleet of 700 aircraft, of various types and configurations, and trained to a pilot group of 12,000 pilots is very significant. I am not a private jet pilot, so it's cool to see something I've read about in action. This isn't news, old or otherwise. It's an article about the impact of something that was news. Replacing books with consumer devices that will be obsolete in a few years. Fantastic idea. True, if they end up crash-landing on an uncharted island that's shielded from detection by a mysterious force field, they will be stuck with obsolete technology, and possibly even run out of power. Under other circumstances, the technology will get upgraded, routinely, as needed. The iPads are a good idea, but wouldn't it be prudent to keep at least one hard copy of the manual onboard? Yes, it is a fantastic idea. The books get revised and updated every two weeks. If an iPad were updated every two years, it would still be a massive improvement and savings. Not to mention much more effective to use in the cockpit than a paper manual. Additionally, the books weigh about 80 lbs total. So the iPads pay for themselves in fuel savings. They aren't being used to play games, they are displaying PDF files. They don't have to upgraded with the same regularity as devices running more aggressive software. But they would save money, even if replaced annually. Yeah, until a plane falls out of the sky because the ipads didn't work. I've seen some silly comments on this thread from people who are clearly not commercial pilots but this one tops the lot! Is that how planes work? They just fall out of the sky when something malfunctions? An iPad stops working and all of a sudden the laws of physics change so that a plane "falls out of the sky"?? Please tell me you're not being serious!? !